There are currently 198 homes for sale (click here to view) in East Brunswick. Read about home tips, real estate news and local events. 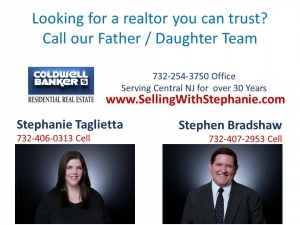 To subscribe, e-mail Stephanie at stephanie.taglietta@cbmoves.com and put SUBSCRIBE in the Subject Line.